The arts and humanities will have a stronger and more influential presence on the University of California San Diego campus, thanks to a new $750,000 grant from the National Endowment for the Humanities. The three-year matching grant is the largest single award ever received by the university’s Division of Arts and Humanities from the NEH. “With this support from the National Endowment for the Humanities, UC San Diego will become a leading voice in the national debate on the role of humanities in the 21st century, one that includes disciplined and expert engagement with the ethics and social impact of cutting-edge science,” said UC San Diego Chancellor Pradeep K. Khosla. First of its kind, the award is one of 29 nation-wide grants given by the NEH as part of their new Infrastructure and Capacity Building Challenge Grants program, designed to leverage federal funding in order to create, strengthen and sustain humanities infrastructure. These grants require a match of non-federal funds, and may be used toward construction and renovation projects. UC San Diego received the maximum amount eligible. UC San Diego overall undergraduate enrollment in arts and humanities has grown by 25 percent since 2013, with new enrollment up 68 percent. 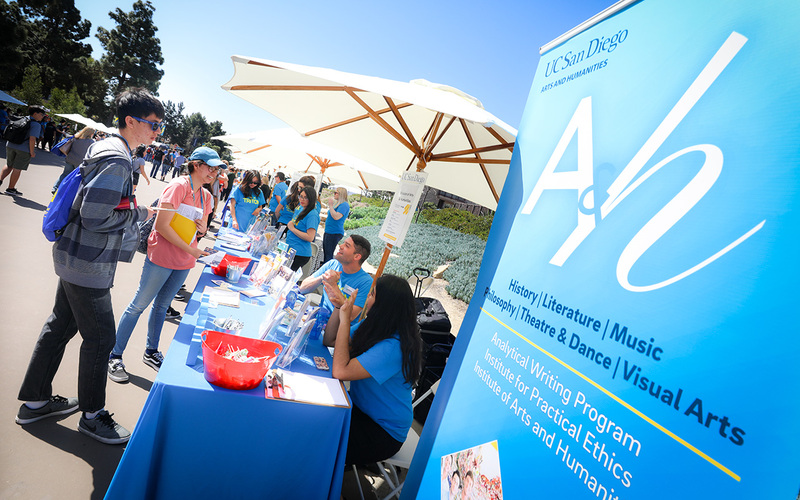 Forty-five percent of students who apply to UC San Diego in arts and humanities are offered admission. “Arts and humanities at UC San Diego teach the responsibilities of what we call ‘social citizenship,’ and remain committed to the rewards of free inquiry, diversity and equity, and experimentation. Our students develop minds that give them the versatility needed to succeed in a complex and volatile world,” Della Coletta said. 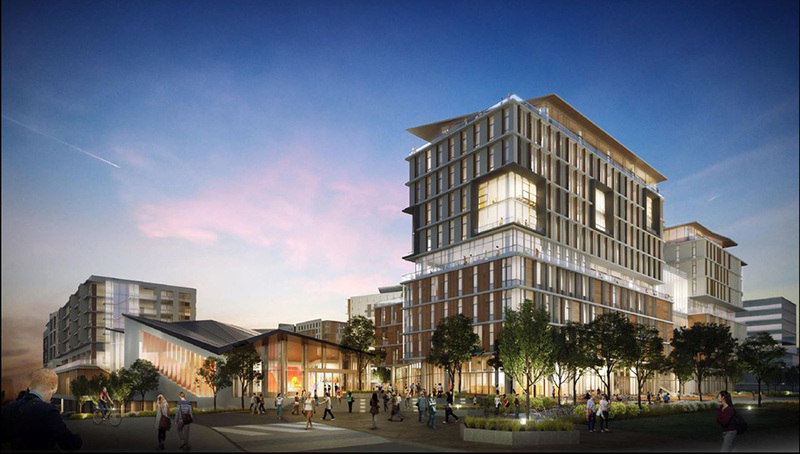 The NEH infrastructure grant directly funds construction of a new location for the division’s Institute of Arts and Humanities, which includes the entire sixth floor of the Arts and Humanities Building in the forthcoming North Torrey Pines Living and Learning Neighborhood. This location will, in part, serve as a center of interdisciplinary collaboration. Launched in 2017, the Institute of Arts and Humanities connects 15 interdisciplinary programs and centers that previously functioned in separate units on campus. Activities supported by the institute are focused on research and teaching, community involvement and public engagement. Initiatives center on global, public and digital humanities, and the institute has been led by Department of History professor Luis Alvarez since its inception. UC San Diego Alumni Board Vice President and President-elect Kimberley Phillips Boehm ’82 said it is important for the institute to become a visible and influential entity on campus. Boehm is an alumna from the Department of History, serves on the UC San Diego Black Alumni Council and was one of three speakers at this year’s commencement ceremony in June. “The Institute of Arts and Humanities will help recruit students in the humanities, especially underserved and first-generation students, increase humanities transfers, increase excellence in undergraduate curricula, develop community involvement, and increase alumni and donor engagement,” she said. With a footprint covering more than 10 acres, the 1.6 million-square-foot Living and Learning Neighborhood is the largest architectural undertaking in the campus’s history. The complex — expected to be ready for initial move-in Fall of 2020 — will become the new home for Sixth College, a craft center and retail offerings, as well as two new academic buildings: one for the Division of Social Sciences and one for the Division of Arts and Humanities. The Arts and Humanities Building will also, for the first time in the university’s history, bring the three humanities departments of History, Literature and Philosophy, and the Analytical Writing Program together in one location, centralizing core humanistic study for maximum student impact. The National Endowment for the Humanities (NEH) is an independent federal agency created in 1965. It is one of the largest funders of humanities programs in the United States. The endowment awards grants to top-rated proposals examined by panels of independent, external reviewers.